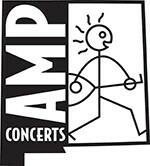 Tickets are $23 in advance, $25 day of show (including all service charges). They are also available by phone through Hold My Ticket at 505-886-1251. 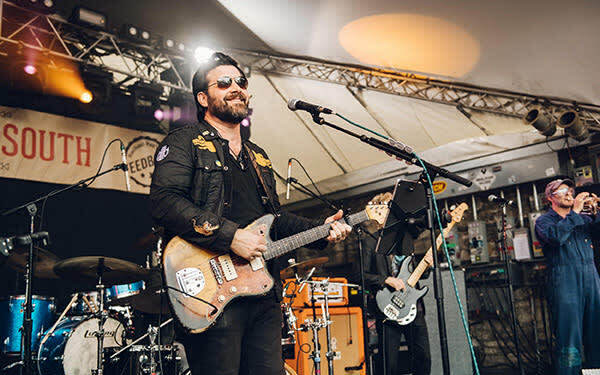 Despite receiving little national press or major label support, Bob Schneider has managed to become one of the biggest acts in Austin, if not in Texas. His fans, who often discover him from being brought to his shows by their friends, are fiercely loyal. Many have attended dozens or even hundreds of shows. Thanks to these fans, Schneider has won more Austin Music Awards than any other musician, including Best Songwriter, Best Musician, and Best Male Vocals, rounding in at 54 total awards to date. 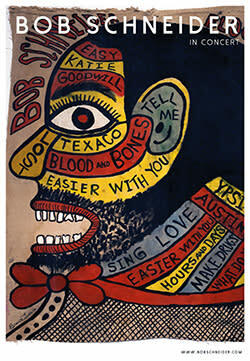 In retrospect, it appears inevitable that Bob Schneider would become an artist. He was born in Michigan and raised in Germany, where his father pursued a career as a professional opera singer. As a boy, Schneider studied piano and guitar, often performing at family parties and backing his father on drums at nightclubs throughout his youth in Germany and Texas. He went on to study art—his other primary passion and avocation—at the University of Texas El Paso, before moving to Austin and establishing himself as a musician. He performs relentlessly, creates new music compulsively, writes poetry, and regularly shows his visual art in galleries around Austin. With his latest album, ​Blood and Bones​, Schneider further cements his reputation as one of the most versatile, inventive, and engaging songwriters working today. Blood and Bones​ captures Schneider at a unique, and distinct, place. "Most of the songs are about this phase of my life," he admits. "I'm re-married, I have a 2-year-old baby daughter who was born over two months premature because my wife had life threatening preeclampsia. So dealing with that traumatic event while getting older and looking at death in a realistic, matter of fact way, experiencing the most joy I've ever experienced along with feelings of utter despondency in a way that would have been impossible to experience earlier in my life, all comes out in the songs." 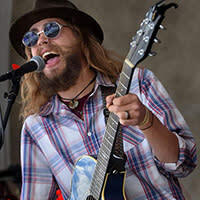 Ry Taylor has been playing music for family and friends since he was 10 years old, a gift from his father, well-known northern New Mexico singer-songwriter Rod Taylor. Today, he continues to play for the public, composing his own songs as well as offering the well-known songs of his generation. Born and raised in Cimarron on Philmont Scout Ranch, Ry has also called Red River, Angel Fire, Santa Fe, and now Taos his home. Ry's genre has been best described as "Acoustic Groove, Americana, Latin Jazz, Alternative Rock, and then some."